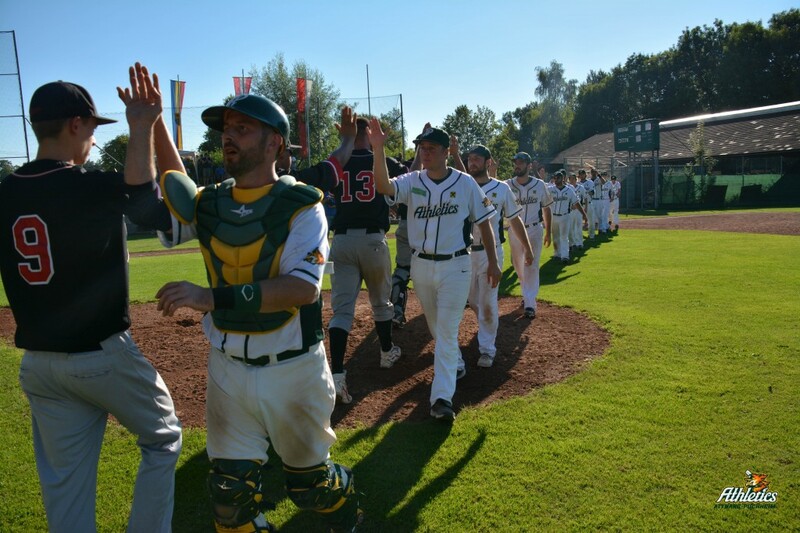 The Athletics Attnang-Puchheim have taken a 2-0 lead in the best-of-seven Austrian Baseball League finals. They defeated the Diving Ducks Wiener Neustadt 14-0 and 7-4 in games one and two on Saturday in Attnang-Puchheim. Ten runs in the fifth and the sixth combined had blown up the score in game one. Andre Gruber went 3-for-3, while Steven Johnson hit one of his two home runs of the afternoon. In game two Attnang-Puchheim took a quick 2-0 lead in the first and built up the score to 7-0 after six innings. The Diving Ducks then finally got on the board in the eighth and tried to rally in the ninth. But after a two-run triple by Jan Alteneder a groundout ended the contest. Game three to five will be played in Wiener Neustadt next weekend.